Beverly tries to teach her friend about the ways of the modern world — the importance of teeth brushing, understanding strange holidays like Halloween, learning how to read. But Kabungo doesn’t take well to being civilized, and she can be stubborn, bossy, and plain infuriating. Sometimes Beverly gets so mad that she just wants to move to Cincinnati. Besides, Kabungo is a skittish cavegirl, and it takes a while to win her trust, even among Star City’s eccentric denizens, such as Mr. Gobshaw, who owns the local drug shop (“We have everything!”) where you’ll find the stuffed tigers right next to the breath mints. And there is Ms. VeDore, who seems to float as she walks around her decrepit mansion, and who throws the most amazing Halloween parties. Then, just when you least expect it, Kabungo will do something surprising (and when you’re best friends with a cavegirl, you’re not easily surprised). Like planning an unexpected birthday treat for Beverly (even though it isn’t actually her birthday) — at the city dump. In other words, Beverly learns that there are times for teaching, and times for tipping your head back and laughing. Kabungo is now available in bookstores everywhere – or snag an autographed copy at The Rolli Shop. Also available at Amazon.com, Amazon.ca and Amazon.uk. 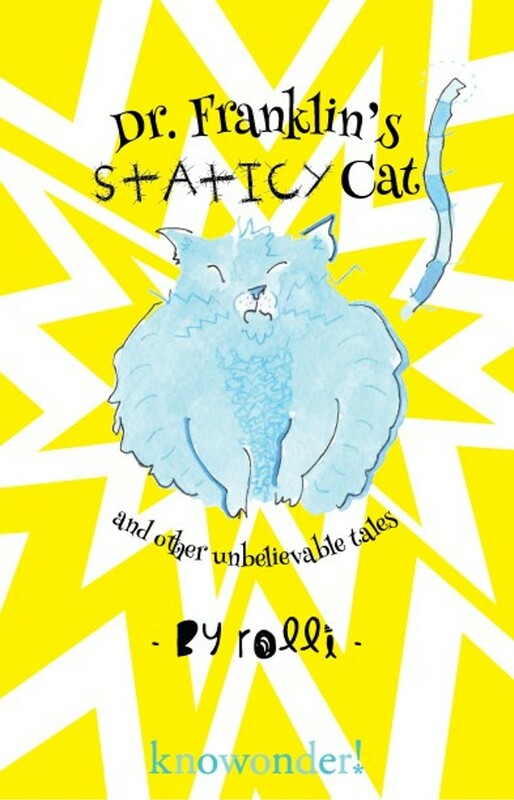 A collection of 18 delightfully impossible children’s stories, about so very many things…. Wicked nannies. Hungry tigers. Vacuum cleaners. And cats, of course (lots of them). With interesting pictures by the author. Available in paperback and Kindle formats at Amazon.com, Amazon.ca, Amazon.uk, Amazon.in, Angus & Robertson (Australia), Adlibris (Sweden) and better bookstores – or order an autographed copy here. “Brilliantly original, clever and quirky. Rolli’s stories teem with suspense, science, twists – and cats!” – Sharon Plumb, author of Draco’s Child and Bill Bruin Shovels His Roof.